Google has officially cemented its $1.1 billion deal for HTC's engineering and design teams, putting the company in a position to more directly challenge Apple in the smartphone market. "You have to be vertical in some cases to really push the envelope for consumers," Google hardware leader Rick Osterloh explained to Bloomberg. "Our intention is to invest in this for the long term. You'll see a steady increase in investment from us." The executive noted that Google wants more control of design and production, including deeper cooperation with suppliers. That would mirror Apple's approach —while the iPhone initially relied heavily on off-the-shelf parts, Apple has exerted increasing micromanagement, making unique demands from suppliers and designing its own A-series processors. Historically Google has focused on software, developing the Android platform as a way of spreading its advertising and services while letting third-party vendors handle the actual electronics. Even Google-branded Nexus devices were designed largely by other companies. 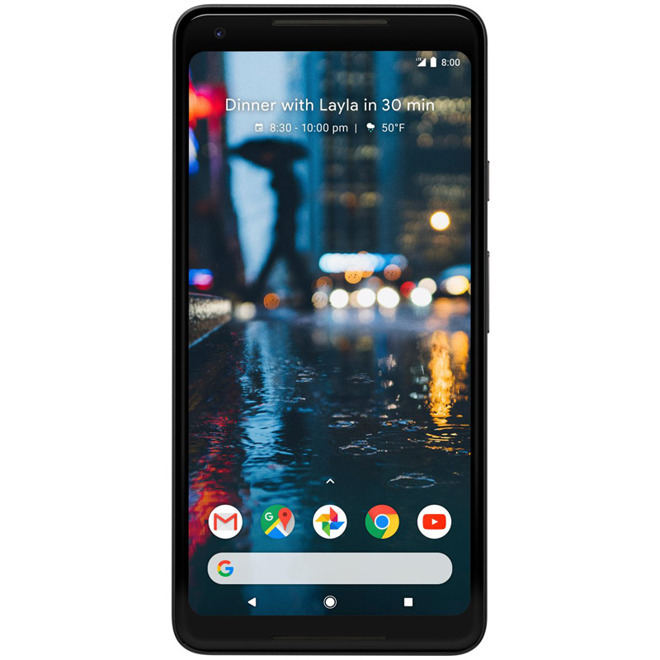 The situation has changed, though, with its recent Pixel and Pixel 2 phones. HTC's assets could let Google design its own processors, which might reduce Apple's years-long advantage in tightly integrating hardware and software. This is often credited with boosting the performance and efficiency of iPhones despite their sometimes having weaker specifications on paper. About 1.5 million Pixel phones were sold in 2017, just a fraction of iPhone numbers. Google may be poised to grow marketshare however if it can offer a clear advantage to first-party Android phones over ones from partners like Samsung.